Sanctuary Spa opened in January of 2003. 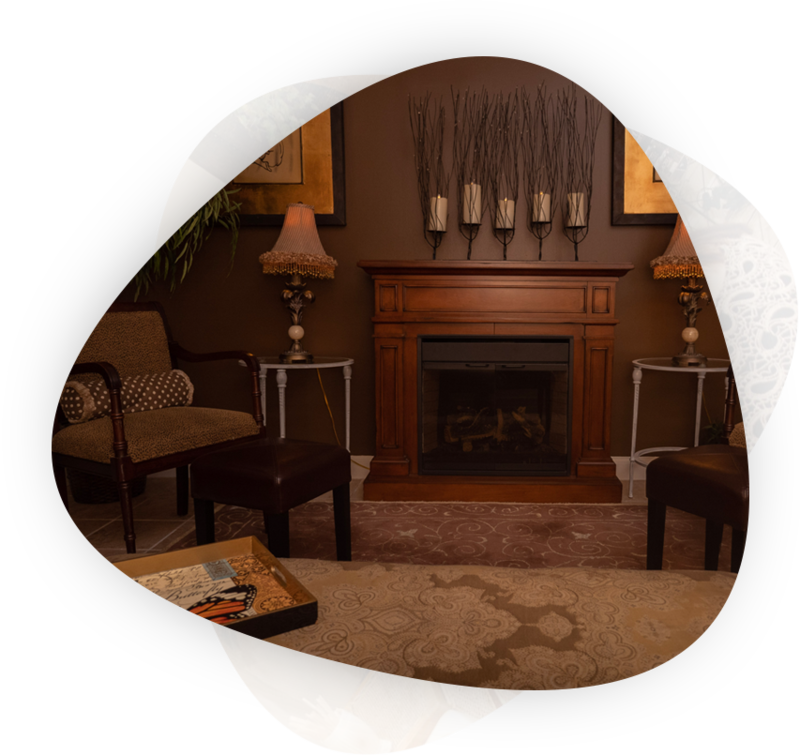 The first day spa in the Wilmington area to offer spa services exclusively,choosing not to incorporate hair services in an effort toremain true to the spa experience. 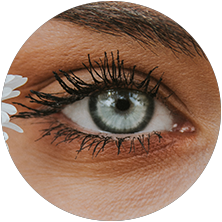 Our Services Freshen your skin… Renew your outlook. Well-groomed and attractive hands and feet are essential elements of your image. Our hand and foot treatments will provide a sense of relaxation while perfecting your appearance. The stress, tension, sleeplessness, food additives and pollutants we face every day can wreak havoc with your skin, making you look older than you should. Our revitalizing skin treatments wash away the tension and restore youthful vitality, leaving you looking – and feeling – refreshed. The demands of daily life drain our resources and deplete our reserves, and we need to refuel and renew ourselves. Our soothing, energizing body treatments will relieve your tension and aches, rejuvenate your spirit and leave you feeling ready to face the world with confidence. Sanctuary Spa opened in January of 2003. Sanctuary Spa opened in 2003 as the first day spa in the Wilmington area to offer spa services exclusively, choosing not to incorporate hair services in an effort to remain true to the spa experience. Since then Sanctuary has served as an inspiration to other spas in the area. Sanctuary is a hidden gem in North Wilmington. The neoclassic decor immediately draws you into this stress-free haven. Enjoy a Pedicure, Massage, Facial, or any of our other award-winning treatments, spend time unwinding in the lounge, or pick up a unique gift in the spa boutique. We support many charities through donations of services and products and are thankful for the opportunities to give back to our community. We are committed to always improving our skills and services through ongoing education and strive to give our guests our very best with each visit. We know you have many choices, and we’re grateful to you, our guests, for choosing Sanctuary for your spa services. Take The Sanctuary SpaExperience Home With You! 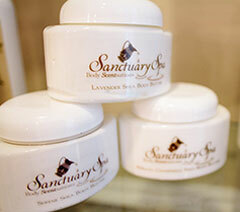 Take the Sanctuary Spa experience home with you! Find everything you need in our boutique to continue the benefits of our spa services at home. finest botanicals and active ingredients available for results we guarantee. It feels like a luxurious Italian home, from the beautiful Tuscan interior, to the warmth of the staff. I've had several different treatments, from manicures to body bronzing, and they are all top notch. Wow. That was truly amazing. 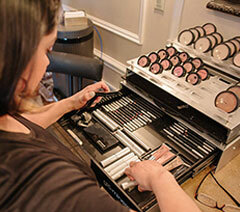 Most salons leave the room when the mask is setting or the steamer is on. I loved having lotion massaged into my arms and legs. Well done! I'm never disappointed with Sanctuary. My facial is always the highlight of my week! Everything about Sanctuary is wonderful-clean, calming experience, great staff! Great-as always. Every service I have had has been beyond my expectations. Wow, what a beautiful spa! It is my new place to relax & take care of myself. My experience is always fun, friendly, efficient, and relaxing. Love everything about the spa-people, service, ambience! Makes a great 'girls' night out!